Human Resources HR Social Media "Employee Reviews" "CandidateAttraction" "CompanyCulture"
Social media is an integral part of everyday life and has become a powerful tool for businesses in marketing their products, promoting their brand, connecting with their customers, and generating new leads. With 83% of candidates active on Facebook, 40% on Twitter, and 36% on LinkedIn, it makes sense that social media is also being used as a means of recruiting. 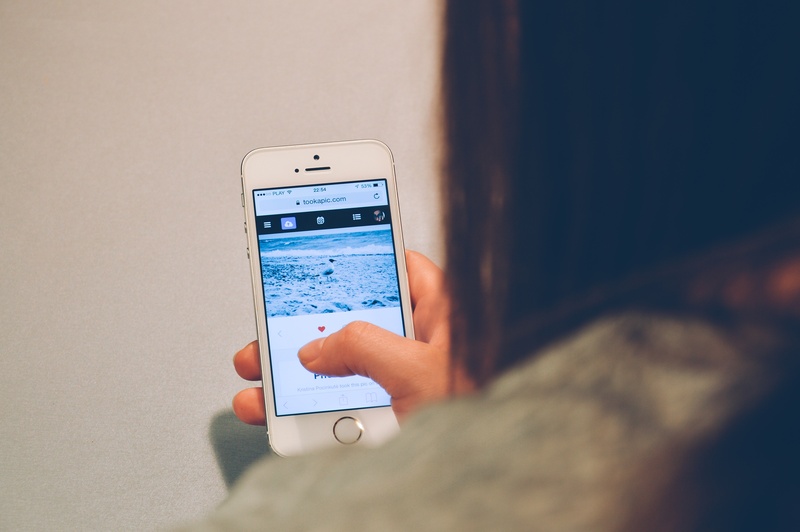 As each social network is free to set up and easy to use, employers can easily take advantage and spread their employer brand to entice potential candidates to come and work for their organisation. 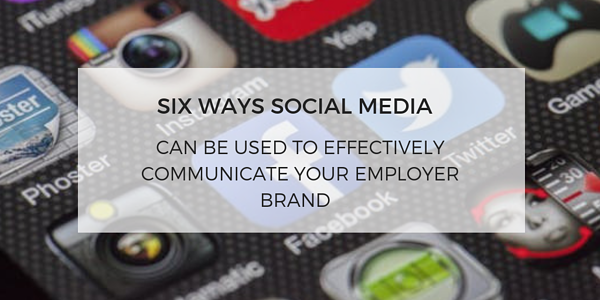 Here are six ways organisations can take advantage of social media to showcase their strong employer brand and attract potential candidates. 1. Sharing content Distributing company content, such as articles, webinars, and events is a great way of communicating that you are invested in your company, and it puts you in good stead as being a thought leader. This will enable you to grow your audience and gets you in front of potential candidates. The more you post, the more engagement you will get. Your audience might not necessarily be looking for a job but they are still getting exposure to your brand, or they might know someone with the right skills and expertise that is looking for a job. Just remember to keep your content relevant, interesting, timely, and entertaining. 2. Showcase your company culture – Social media is one of the places candidates go after visiting your company’s careers page and before making a decision. Candidates want to make sure that the place they are applying for is the right place for them, and using platforms such as Facebook to gather information on company culture, values, and benefits is a common occurrence. Through social posts and videos, you can offer insight into what it's like to work for your company. By showcasing team events and projects you’re working on, to awards that you’ve won, social media can be a great window into your company culture and can entice like-minded people to join you. 3. Employer advocates - No one knows what your company is like to work for as much as your current employees. By utilising blogs and social media accounts, you can give your employees a platform to share their personal experiences of working for your company to a larger audience; your employees’ reach alone can spread wider than your company website. Your brand advocates, by sharing their employee journey, can give your potential candidates an accurate look into the benefits and values of working for your organisation and can be the difference in whether they click the apply button or not. Candidates would rather watch a video or read a blog from an employee passionately going through the benefits and opportunities they’ve had while working at your organisation over a slideshow of generic statements. 4. Monitor reviews – Social media has given people the power to voice their views and opinions, especially on sites such as Glassdoor, without having a confrontational discussion. While a lot of this can be positive, there is a chance that your organisation can get negative feedback from former or disgruntled employees, or candidates who have had a bad candidate experience. By proactively monitoring social media and review sites, you can give your company a chance to respond to negative reviews in a more timely and efficient manner and demonstrate to your potential candidates that you are committed to making your company a better place to work. 5. Targeting the right people – One of the best advantages of social media is that you can use it to target the right audiences. When starting a social media strategy, it is beneficial to research what social platforms your target audience is using to get an understanding of the most effective ways of reaching your candidates. Each platform can also be used in different ways, so it is useful to know which platforms can be used to do what. For more information on how to use each platform, click here. One of the best tools for targeting the right audience is through Facebook Ads. Facebook Ads gives your organisation the tools to get your content in front of your desired demographic. From occupation, to education levels, you can make sure your content is being viewed by the right audience. With Facebook, you can also target people who have looked at your careers pages but not applied for a position, they might be interested in working for your organisation but, unfortunately, found no relevant job roles, but by retargeting them with Facebook, you can keep your interested candidates warm until a relevant job comes their way. With in-depth analytical tools, social media can also help you track which posts are working and which posts are not, giving you a better understanding of where to target recruitment campaigns in the future. 6. Building relationships – The majority of candidates today are passive and are not necessarily looking for work and will probably not be interested in any of your current job opportunities. They might not be interested right now, but they might be interested in another opportunity in the future. By building up relationships and connecting with an interested audience over social media, you can keep reinforcing to these people the benefits of working for your company, so when they do decide to look at other opportunities, your organisation will be in the picture. Having a strong social media presence as a part of your recruitment strategy is key to maximising your chances of finding the best talent as it is an essential way of getting across to quality candidates that your company is an employer of choice. With a strong social media presence, not only will you have a cost-effective way of attracting the best talent, but you will have access to a talent pool of quality candidates wanting to work with your organisation in the future. Seasonal Hiring: How to recruit the best talent in time for the Christmas rush.